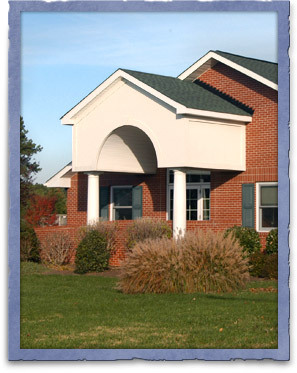 Community Animal Hospital in Easton, MD has been serving the mid-shore's people and their animal friends for more than 30 years. Our modern 6,000-square-foot hospital is the largest in the area that is dedicated exclusively to the care of small animals. In 1984 Drs. Joe and Donna Nizolek converted a brick ranch-style house into the original hospital, and for many years provided veterinary care to all creatures great and small. Remodeled and expanded in 2000, our Easton veterinary hospital has evolved into a multi-doctor practice that provides the best in small animal medicine and surgery, as well as care for exotic pets. Our Easton veterinary practice is built on a commitment to excellent health care, compassion for our patients, and close client communication. 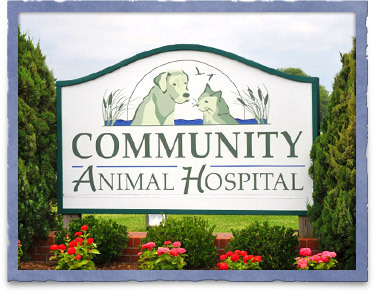 The doctors and staff of Community Animal Hospital believe in a personal approach to the care of your pets, and that means we tailor health programs to the needs and lifestyle of each animal. If your cat or dog becomes ill, we discuss all treatment options and work with you to develop a plan. We also provide a 24-hour emergency service for our established patients. Please take a moment to learn more about our animal hospital in Easton – or better yet, stop in and meet us. We welcome the opportunity to introduce you to our doctors and show you around our hospital. Community Animal Hospital is accredited by the American Animal Hospital Association, a designation achieved by a small percentage of animal hospitals in the country. AAHA is the world's leading association of companion animal practitioners. To maintain AAHA certification, our hospital must pass comprehensive inspections of our facility, medical equipment, records and management. We are proud to have been accredited since 1987. Payment in full is due upon completion of services. We accept cash, personal checks, Visa, Master Card, and Discover. A deposit of one half of the expected bill is required for all hospitalized animals. The full balance must be paid when your pet is discharged from the hospital. We are sponsors of the Talbot Humane Society and their annual "Bark in the Park," and we assist with the society’s adoption spay and neuter program. 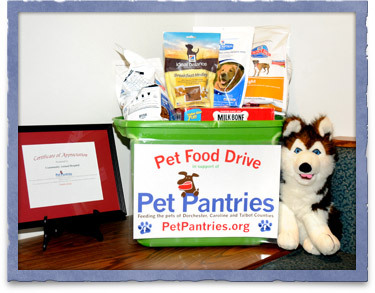 Our veterinary hospital works with Pet Pantries, an organization dedicated to making sure any local pet owner in financial need has access to free pet food. Dr. Teri White is one of the founders of TomCat Solutions, a group which works to decrease the number of free-roaming cats on the eastern shore. Community Animal Hospital provides low-cost medicine and services to this organization. We sponsor contestants in "Dancing for the Dogs," which benefits several area humane societies and rescue organizations. Chesapeake Cats and Dogs: we offer reduced veterinary care fees to help homeless animals and facilitate their adoptions. We work with Chesapeake College to provide hands-on learning experience for students in animal-related courses of study. Our veterinarians and nurses spend time visiting local schools to discuss pet care and offer career advice and mentoring. Are you a satisfied client? Let us know about your experience, and review us on Google! For instructions on how to leave a Google review, click here.